Everybody wants to change. We hear almost every day, whether in business or in our personal lives, how much people desire to change a particular aspect in their lives. Yet when you explore deeper into that desire, you find how it’s almost unresolved. Not many people change the way they wanted to and the reason for that is maybe they don’t understand what it is they want to move towards to. 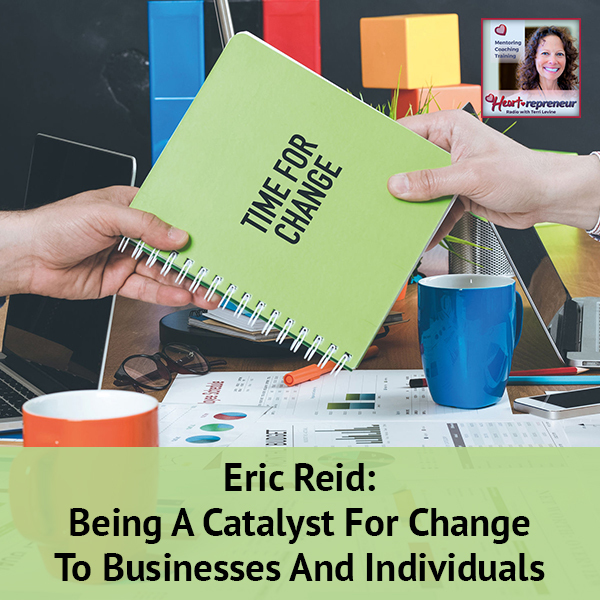 As a catalyst for change, Eric Reid talks about the ability to change from within and having it manifest without. Relating it to businesses, he talks about the importance of the CORE and the culture. 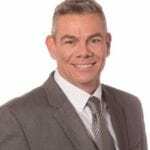 He shows how businesses can change successfully and have more customers if they learn how to connect. I have with me as my guest, Eric Reid. 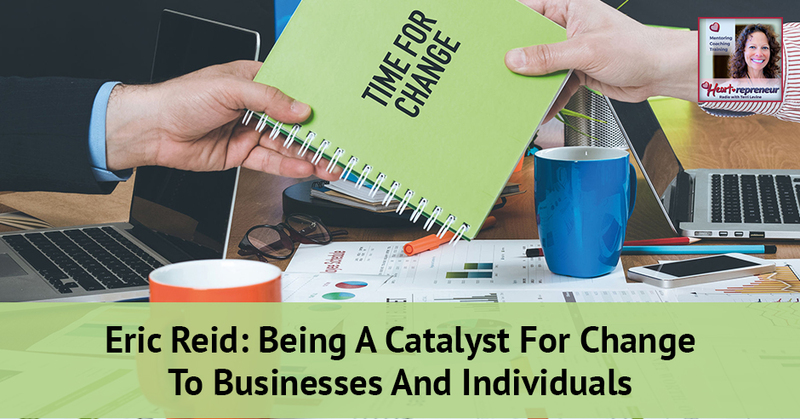 He says, “I consider myself a catalyst for change in people’s lives and within business structures.” He says he loves coaching because he’s passionate about helping people create their successful life. I am excited to have him with me and I welcome you to the show, Eric. 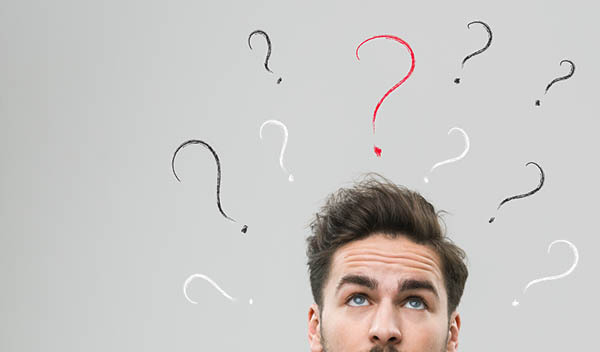 How did you get into the field of coaching? What’s your journey been like? We’re always on the journey. It’s when we suddenly discovered that we’re on it then it gets a little better. Probably 95% of us think we are alone in the world and trying to fix it. Through a series of failures, stumbles, and barricades, I ended up doing what I loved, which was working with youth and families at risk as a counselor and a placement officer and things like that. What I discovered was that my pains, fears, and doubts were the same as everybody else’s, which gave me the encouragement to explore theirs and explore mine and then see how we could heal together. I love when people have discovered something in their own lives and then they say, “Let me share that and let me help others.” To me, that is the definition of Heartrepreneur. It’s sharing something with heart and passing it forward. Tell me about the word ‘change’ because it fascinates me. 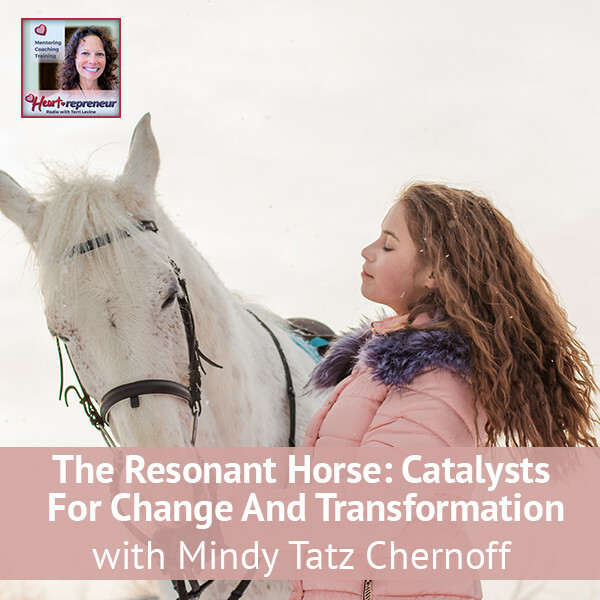 You consider yourself a catalyst for change, what does change mean to you? Do you have an example of a client success story and how that works? I was working with a client and had done that cycle of success, failure, success, failure. We’ve all been on it. We get to a certain point and then we end up looking around going, “How did we get back to the beginning?” In the middle of a coaching call, I heard him say, “I can’t be happy unless my dad is.” I was like, “We need to stop here. Is your dad happy?” He said, “I don’t know.” I said, “How do we change your understanding of what your dad’s happiness is? Let’s go ask him.” He comes back and he was like, “My dad’s happy. I thought he was miserable, but he’s happy.” I’m like, “What does that allow you to do now?” He said, “I can go out and be happy and have my own success.” He had been sabotaging his success because he felt the commitment to staying in line with his dad who he perceived wasn’t happy. By asking you a critical question in the right way, the shift occurred. I find it interesting because people walk around and I hear this all the time, “I need to change this, I need to change that.” It’s nonstop, whether it’s in business or in life. I always wonder, do they have to change all these things or do they have to change their thinking? What do you feel about that? I find people tend to want to move away from things and they don’t even understand what it is they want to move towards. Does that make sense to you? Tell me about business. What do you see in the world of business? What are you experiencing? What help do clients need that you assist in and step in with? Business, as a whole, is under a big shift. We used to produce a product and expect people to show up and buy it. It was like, “We have the best widget, therefore, we should be able to dominate the market.” The market, as a whole, is beginning to expect something more than just a good widget. Some businesses have fallen out of culture. They’ve fallen out of character. They’ve fallen out of connecting to people. 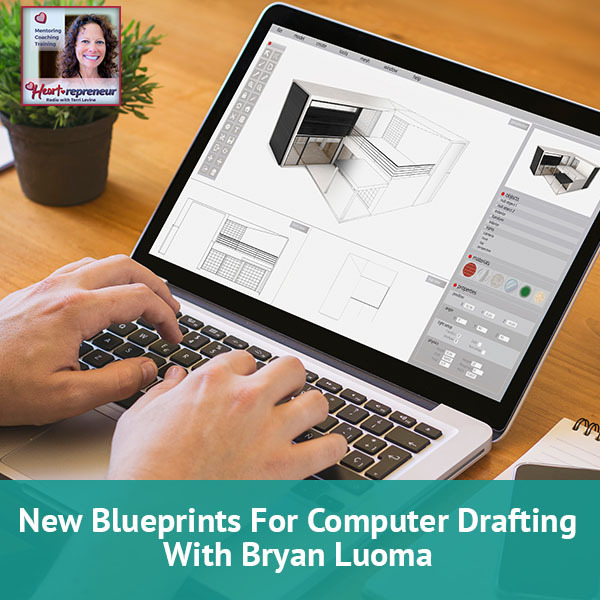 That goes internally to businesses, too, that we have organizational structures that have separated themselves with glass walls and views and are no longer in touch with the widget makers. Often, when I get into a business, I’ll talk about the CORE. What is the culture of the company? What is the organizational structure? What is the resource? What is the execution? If a company is failing, it’s going to be in one of those four areas. You can’t have three without the CORE. You can’t have two without the CORE. If there’s no culture, we can make the best widget as we had but we’re going to continue to sabotage or the execution is going to fail probably because the culture hasn’t been explained clearly or things along that line. Catalyst For Change: People tend to want to move away from things, but they don’t even understand what it is they want to move towards to. I’m glad you brought that up because I find the same thing. I find that the world of business is interesting and people are approaching business in different ways. It’s how the Heartrepreneur movement and cause got started. 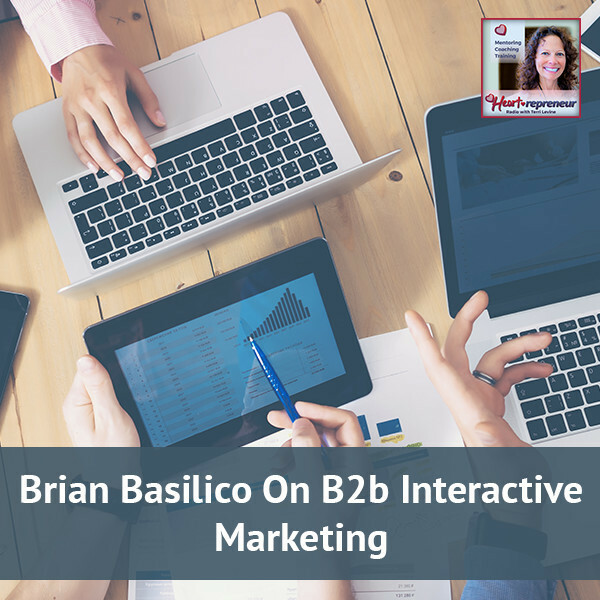 It was looking at the world of business and how it wasn’t focused on client family members, prospective client family members, employees, and vendor partners. It was coming from, “Here’s a widget. I have to sell the widget and I have to make sure the widget makes money.” It’s helping people create that shift and understand how important that is. In the next five, ten years, the companies that aren’t able to shift, do you see them maybe having more difficulty in the world as people are more awake, aware and conscious? Because of our new shopper economy, I’ll go on Amazon at any given moment and be like, “The kids need tennis shoes, buy it there.” Why? I’m not connected to the guy selling tennis shoes on the corner. If I connected to him because we share a common heart, a common vision, a common purpose, the cost of the tennis shoe wouldn’t matter to me. I’ve always said it and I still believe it, people do business with people. That’s obvious. If I know someone who is selling a skincare cream or something, I’m very likely to buy my skincare cream from that person even if it’s a little bit more money. If I don’t know somebody who is and I don’t have a relationship with them, nowadays, I will go buy something where it is the cheapest and the easiest to get like the Amazon. I’m there a lot because of those reasons. I can get it right away. I’ve got Amazon Prime. I know it’s reliable and all of those things. I believe that we need to put our focus on making sure that we are in a relationship with people and also, not taking people for granted. Just because a client family member makes a purchase from you, you want to keep them purchasing. I’ll give an example of that. There was a store that I was buying from for years and years, a clothing store in my area and I stopped buying there. I expected that they’d send me a postcard, an email, a text, or a phone call. I know I was their biggest shopper because two years in a row, I won their biggest shopper of the year award, which my husband was not thrilled about. I stopped shopping there and I never heard a word. I don’t shop there. I might’ve gone back if they contacted me or if they sent me something. The reason I stopped shopping there was truly an experiment. I wanted to see how much they cared about their best Shopper. They didn’t care, so I’m gone. I don’t go there anymore. It was a lot of money I spent a year and I referred to tons of people. We have to focus on our client, family members. Any tips or tools for that? I remember going back a number of years, one of my books, Create Your Ideal Body, we did a special promotion one day. Just from my email list, they could get the PDF of the book for $1 and we had a little over a thousand people buy the book. I said to my team, “I want to write a personal thank you card for each of them.” They went, “They spent $1,” and I said, “I don’t care if they spent $100,000. I feel I want to say thank you,” so we had a card writing party. We had to write a thousand of those cards. I believe it was important and integral. It is part of the reason that I have been successful is maintaining those folks in relationships. If you liked Gary Vee’s Thank You Economy, it speaks to that as well. Also, it’s the idea that a dollar isn’t a dollar, it’s an exchange of energy into something. When I acknowledged that they gave up a piece of themselves, their energy, their time, their commitment to me, I’m obligated to honor that. It’s like you gave of yourself through this medium called the dollar. How can I not reward, thank you, or honor that gift of self to me? Eric, how can people connect with you and find out more about you? You have brought so much value here. Thank you and I always get to watch you. You add value every single day into my world, so thank you. I’m at Eric G. Reid. I’m on Facebook, LinkedIn, and Twitter. There’s not a lot of competition for my name, so you should be able to connect with me through that. I welcome the opportunity to get to know all your readers. Thank you so much, Eric. Thank you for being here with me. For the readers, there are two things that are important for you to do. The first is we have uploaded a ton of my life’s work, courses, programs normally valued at about $7,000 and every day we add more. It’s all free just for being a listener. Go over to HeartrepreneurAcademy.com and you’ll become a user. It’s a member’s area. You’ll go right into the forums under start here and grab all those free gifts, be active. You’re getting free help, free coaching, and free consulting in there. It’s an amazing place to hang out. In addition, we put together a free course for you called GetHotPayingClients.com. Go grab that as well. They’re all freebies because I appreciate you and thank you for being a reader. Thanks for joining us. Hello, My Name is Eric G. Reid. I am the father of two wonderful amazing kids. One of the best days of my life was when I was chosen as their Forever Dad. I have been a life coach and business coach for 8+ years. Yes, I trained to become a coach before being trained as a coach was a thing. As a matter of fact, I am DISC / Human Behavior certified coach and trainer a member of the John Maxwell team and have been certified as a leadership coach as part of the John C. Maxwell organization. I am also NPL certified and a member of International Coach Federation (ICF). Over the years what I have learned is whether a client and I are focusing on a single targeted goal or more of a general need, like getting your vision into an actionable plan, my focus as the coach is always client-centered with the goal of developing your natural strength and talents to empower you to live a life of success.